Not just your average awning. Our free standing unit is the most durable on the market. Our unbeatable quality frame is coupled with the highest grade PVC available, to give our customers the best product we can provide. 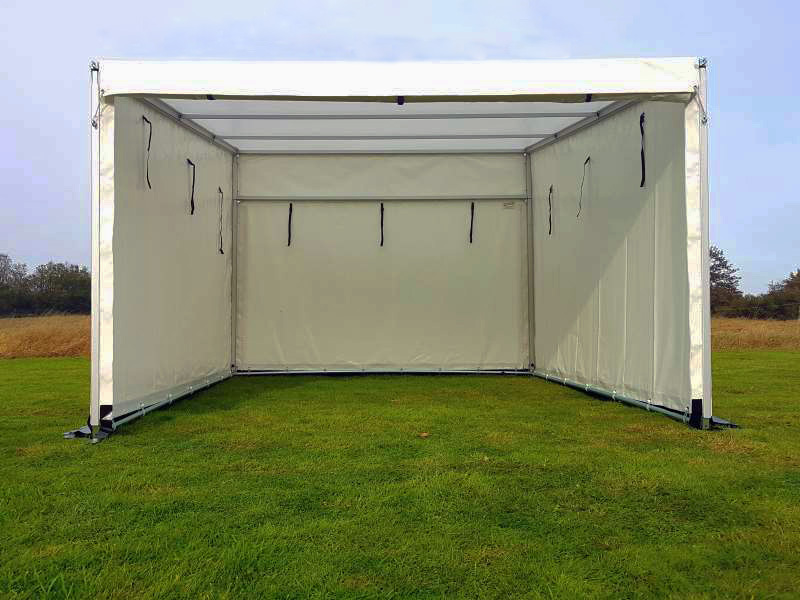 Available in a range of sizes to suit your needs with the option of adding an extra bay at a later date if your needs change. Want to stand out? Choose from our current range of 19 colours. If one colour doesnt fit in with your scheme why not contact us about multiple colours? We also offer a printing service so you can customize your awning with your company logo or other designs you may require. Contact us via email or call us on 01268 774141. Our new freestanding awnings offer the same strong materials used in our race awnings, without the need to fix to a vehicle. They are portable, light weight and the longest lengths are 4 metres, this allows easy transportation. Have the same look and feel you would get from a regular vehicle race awning with the flexibility of either using a smaller vehicle or handling those overlapping events. The benefits of being a modular unit are that you are able to create as few or as many bays as you require with ease and at a much lower cost! High grade FR PVC gives the awning a long life span. - Whats in the kit? * Please note: 'Left Wall' & 'Right Wall' relates to the side walls as viewed in the photo. Manufactured from the same coloured material as the roof sheet (information listed below). 300mm coloured full length mudflap welded to bottom of the wall panels. 3 sides fitted with keder, this allows for a much quicker set up and improved strength and fit. Each wall panel has zipped ends to allow for the panels to be rolled up, using industrial no.10 zips for extra durability. Each panel is also fitted with buckle straps for the panel can be held in position when fully rolled up. This allows great access on any individual panel without losing any tension on other sides or complete privacy if needed. Eyelets are placed hidden behind the mudflap in the bottom of each panel. 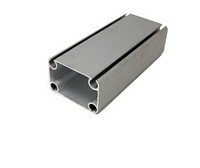 This allows for the panel to be tensioned on the ground bar with ball loops (provided free of charge with each panel). This provides a tight finish for protection against harsh weather conditions. Manufactured using a 680g sq/m (avalible in 19 colours). High tenacity polyester 1100 dtex base fabric. Manufactured from 680g per Sq metre high quality, close mesh polyester, PU coated on the outside with a PVC coating on the inside to ensure fully waterproof, high laquer for easy wipe clean. Welded seams for strength, durability, and a water seal. Flame Retardent to M2 B-S2-D0. Walls slide into the frame and are tensioned drum tight. Light trasmission ranging from 0-11% (dependent on colour chosen). Here at Weatherweave we believe there is no match in quality when it comes to our products. We like to give our customers peace of mind when purchasing with us and are happy to offer the following. This covers you for both frame and cover as described below. If the cover fails due to an issue during production we will rectify the issue free of charge. If any joints in the frame work are damaged during the 12 month period we will repair/replace these free of charge. This warranty is subject to our terms and conditions found here.